Hello! I’m not really that new to running, but I am new to distance. 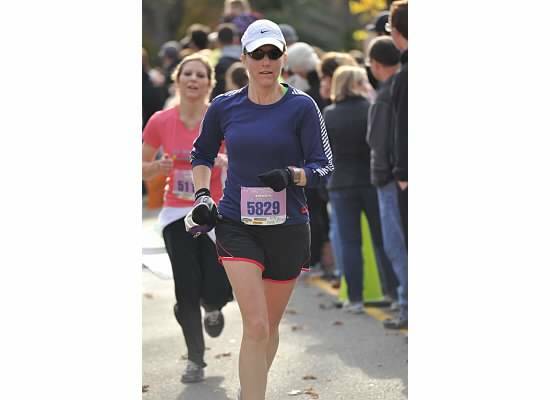 When raising kids and managing a full time job and graduate school, I relied low mileage running to keep my head clear and my over 40 bod sort of in shape. A couple of miles a couple of times a week. In 2011, two friends (established distance runners) convinced me to join training for a 10 mile race … in February… in MAINE. I protected myself for a while, but finally succumbed to peer pressure and completed the race. And then I stopped running completely. And then, the same two women convinced me to do a half marathon in September of 2012. So, I bought new shoes, followed them in long, arduous training runs, and completed the distance! And then they convinced me to run a marathon. I’m not sure exactly how this happened. I have been against marathons. Who needs the pressure? Who has the time? But, somehow these impressive friends found just the right moment and before I knew it, my race confirmation email was landing in my inbox. Why a blog? I’m terrified of the distance. So, I decided to share the burden of training with all of you – whether you are thinking about running, already running, or an elite marathoner already, I hope you can appreciate the journey. Go Whitney! I will live vicariously through you. I ran a half marathon in 2008 and stopped running! I think about starting again but no luck yet!! You can do it! I am so proud of you, Whit! I’m behind you 100%!! Good luck with the training!